Bristol patented steel dead bolt locking system is virtually the best interior locking system on the market. Bristol Windows give you security and peace of mind with the Q-IV locking system. 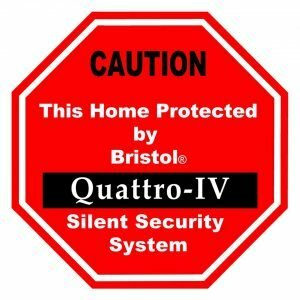 Windows that include a “Quattro IV Security System”, are designed to deter residential forced entries/burglaries through properly locked windows and doors by increasing the difficulty level of entry. From the exterior the Q-IV locking handle is not visible and therefore not operable. 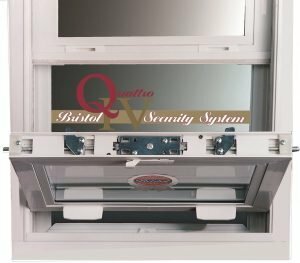 The Q-IV systems, as any other system on the market, cannot ever make a residence 100% forced entry/burglary-proof. Proper use of a Q-IV Security System should discourage completions of forced entries/burglaries. Windows with Q-IV systems offer an exclusive 50- year security guarantee.